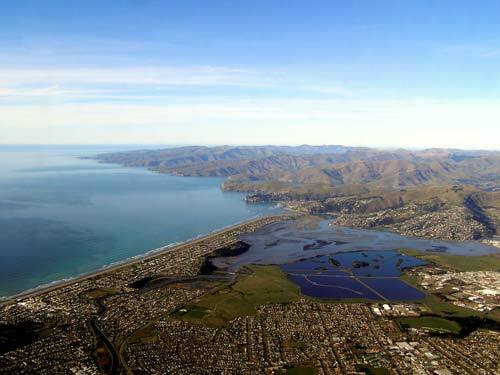 Looking across Christchurch city you can see the straight coastline that stretches north from Banks Peninsula. Its open beaches are sandy, whereas the beaches south of the peninsula are shingly. Both are formed of eroded material from the Southern Alps which has been carried down the rivers to the shore.